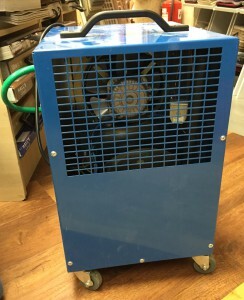 Our Dehumidifiers are suitable for use in all types of properties, in selecting the number of machines required, we would consider how many rooms in your property are affected by water damage and what size they are. They are perfect for use in commercial and household applications up or 760m2, ideal for drying out rooms during building & renovation work, post plastering or post flooding. Typical drying times are based on the CR40’s powerful extraction rate of 11.25 litres per 24 hours based on 70% room humidity at 20C degrees. At 100% humidity & 35C degrees the extraction rate reaches 38 litres per 24 hours. 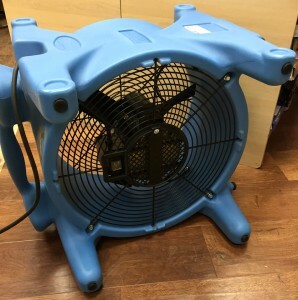 Our Floor Drying Fans are specifically useful for directing airflow downwards onto wet floors and, working in conjunction with our dehumidifiers, extracting moisture out of sub floors. X6 operating positions for a variety of angles of airflow. © 2019 Chapel Flooring. All Rights Reserved.